Essar Oil UK entered the UK retail market in November 2015; last month the refiner opened its third site at Middleton in Lancashire. The first Essar branded site to open was Coalville in Leicestershire followed by Walkden in Manchester in December 2015. 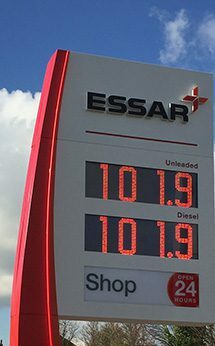 “I am pleased to see our entry into the UK retail market with Essar branded service stations and look forward to substantially more sites opening over the next few years,” said Essar Oil UK executive chairman, Naresh Nayyar.